Happy May 1st! What did you do this weekend? I took a quick trip down to Florida to visit my daughter who lives there, and my parents who winter there. It was wonderfully warm and sunny. I always used to think that I hated winter because of the cold… but now I’m thinking that it’s not so much the cold that I hate as the grayness and lack of light! Daughter and I visited Busch Gardens in Tampa, rode some roller coasters (happy to say that I didn’t die!) and enjoyed seeing all of the animals. In the studio, I’ve been working on our upcoming Block of the Month! We will be starting sign ups soon! 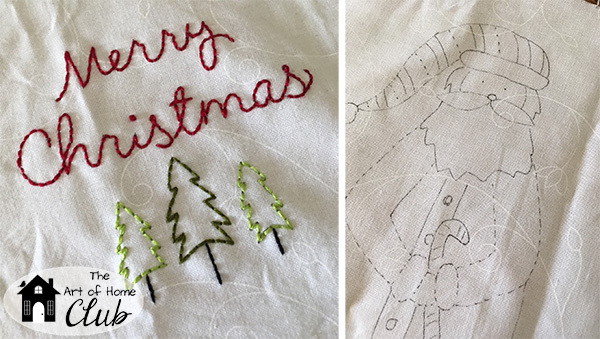 Once again, we will have an optional fabric kits available, as well as coordinating quilt labels, and this year we will even have optional Aurifil thread boxes available. 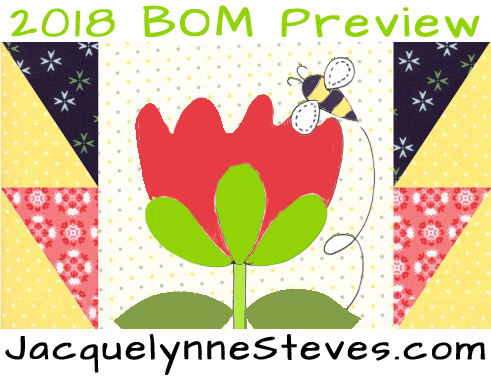 Have you seen the sneak peek for this year’s quilt? It’s soooo cute! We will be opening up the Club to new members very soon! Keep an eye out for information! 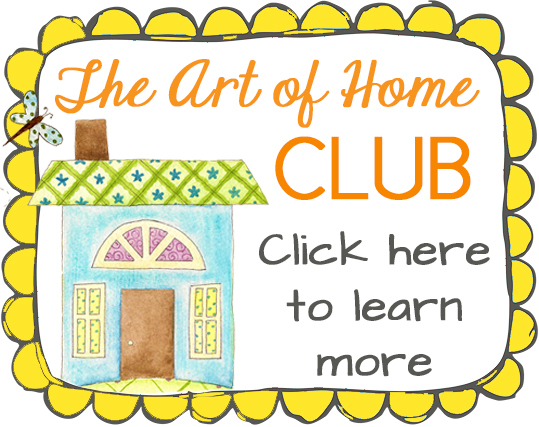 We only open up the Club to new members a few times per year, and you don’t want to miss out! To make sure you don’t miss the announcement, please click here and fill in the box to get on our “waiting list”! 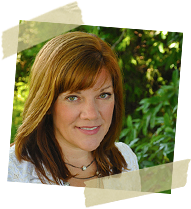 You will want to be the first to know when we open up enrollment- we have some special bonuses for those who sign up on the very first day! 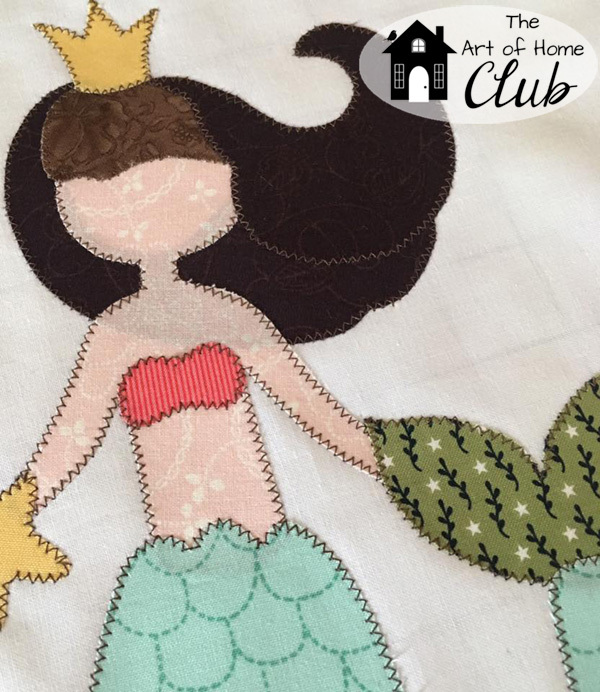 Also, join our Sew Quilty Friends Facebook group- It’s a great place to make new quilty friends, and this week I’ll be doing a Facebook Live or two to answer questions about the Club. 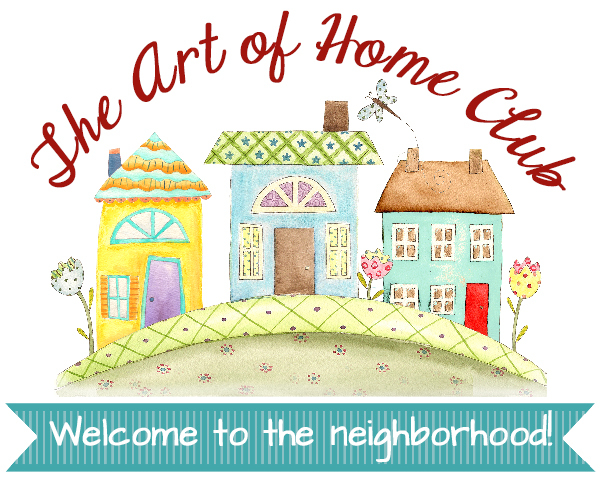 This article was posted in Clubs, Embroidery, Featured, Sewing & Quilting, The Art of Home Club. Bookmark the permalink. Follow comments with the RSS feed for this post.Post a Comment or leave a trackback: Trackback URL. love the sneak peek at the new BOM coming! 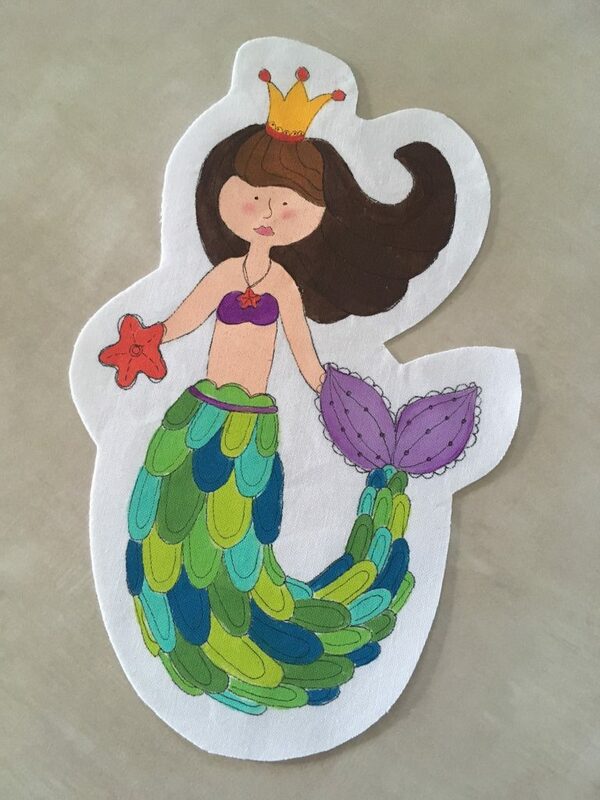 My granddaughters LOVE mermaids – the oldest one (9) has a sweatshirt that says Mermaid for Life! 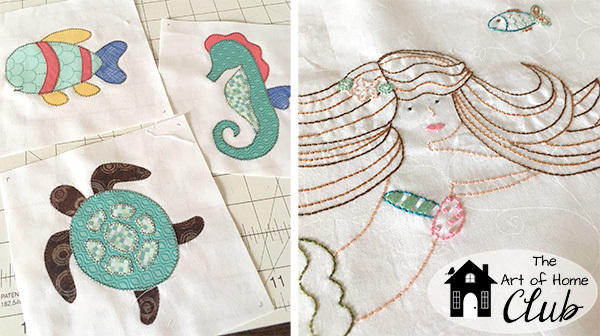 The mermaid applique, and embroidery on this blog – is that a peek at an u[p and co0ming project also?! I’m so excited about the new BOM. Thanks for the sneak look at it. You are one very busy person! I don’t know how you find the time for it all. Computer time takes a big chunk out of the day. I get your newsletter so I’m good to go. Thank you for all you do. Looking forward to BOM. Glad you enjoyed your trip. I’m amazed you have time to breath! What a wonderfully gifted person you are Thank you so much for sharing all of your talents, time and family. This year I will beat the big ‘C’ I hope 🤞 and put some time into quilting, sewing and hand embroidery! How did I miss the French Hen applique? Where can I find it now?? I also just saw a turtle applique Where do I find it also?? ?